During today's investor call, after announcing Verizon has added almost 1 million subscribers and a large number of iPhones, Verizon chief financial officer (CFO) Fran Shammo confirmed that Verizon is working on its frequent upgrade plan, called Edge. Unfortunately, no details were given on the plans. We have seen a leak regarding Verizon Edge, but even that didn't have much as far as information in it, and the info that was there could certainly change. Verizon probably doesn't want to follow in the footsteps of AT&T, which has received pretty negative reviews of its AT&T Next plan, because Next has the major issue of charging you twice for a device that you don't get to keep. The entire frequent upgrade trend was kicked off by T-Mobile's JUMP plans, and Verizon would do well to aim to be more like T-Mo's offering than AT&T's. Shammo said that details on Edge would be announced "soon", and "soon" is already here, because Verizon has released the official details on the plan. According to Verizon, Verizon Edge will launch on August 25th. The details say that with Verizon Edge, you will have to pay the full retail price of the device in addition to your monthly service charge (which makes it sound like Verizon is making the same mistake as AT&T). One good part of the plan is that when on Edge, you will not be locked into a contract, but will be on a month-to-month plan. The full price of the device will be divided into 24 payments, and you will be able to upgrade after 6 months, as long as you've paid at least 50% of the full retail price of your device. 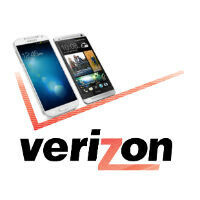 But, an interesting twist to Verizon Edge is that it will be available for feature phones as well as smartphones. Using the same example we used for AT&T Next and T-Mobile JUMP, if you want to purchase a Samsung Galaxy S4, it would be priced at $650 as the full retail price. If you know you will be upgrading your device after six months, you will need to pay about $54.17 per month in order to reach $325 (half of the phone’s total cost within that time frame. But, if you'd rather aim for a yearly upgrade, the monthly payment will be $27.08. Since you aren't on contract, if you do stop service, you will still be required to pay for the device. There will not be any finance charges or upgrade charges with Edge. This would be in addition to your monthly service fee (which still includes the device subsidy cost), which would be about $110 per month for unlimited voice and text, and 4GB of data. That is a shade less expensive than AT&T's monthly cost ($115), but still much more than T-Mobile ($70 for unlimited everything), because T-Mobile has shifted the subsidy out of the monthly cost and into the Equipment Installment Program (EIP). So, it looks like Verizon Edge will have the same problem as AT&T Next, and will charge you twice for a device that you don't get to keep. Once again, it may be a better option to simply go with a contract plan and use your early termination option (ETO), keep your device and upgrade that way. news.cnet.com/8301-1035_3-57594327-94/verizon-unve​ils-edge-its-own-pricey-early-upgrade-plan/ Lamesauce. They should offer discounted rates for those that choose a no-contract upgrade, but verizon has no reason to lower its prices when demand for its service keeps going up. Nope, not much of a deal at all. T-Mobile definently has the "Edge" here. I just wonder if customers will fall for it. Verizon lowering prices? Ha! They're the most expensive nationwide carrier in the country, and among the most expensive in the WORLD. Coverage is great, but at what cost?! It's quite simple - you get what you pay for. And sometimes you just overpay. VZW is clearly the best, but if you don't need coverage in Walla Walla, Washington, why pay the premium just for the privilege of saying you COULD use it there? Just like different OSs suite different needs, so do different carriers. What? You mean the most locked down carrier in history that launches phones and software updated 6 months after their competition? How much should that cost the end-user? Why not buy the phone "Full Retail" and your done! End of story! "(Until, of course, the next time you want to change device). You can always leverage the initial cost through insurance claims!!! Because you're paying the usual carrier subsidy through your monthly plan. Verizon doesn't just give you subsidized pricing out of the goodness of its heart. You pay for it over time. They don't itemize the subsidy in your monthly charges, but it's definitely there. The subsidy may as well be a monthly payment on the device itself. So if you pay full retail, you're paying for the phone twice anyway. The best deal in my view is upgrade pricing as soon as possible. Sprint, being last as general. Sprint is probably going to be forced to follow, and hopefully they will compete w/ T-Mobile's JUMP. Yeesh, SO GLAD I'm with T-Mobile. The big 2 need to lower their prices if they're going to insist on a non-inclusive subsidy. I'm really starting to believe that the $299.99 price of the Lumia 1020 is the start of high-end devices being so high, just so the carriers can get away with these artificially low selling prices at the time of sale. How do Early Termination Fees work with these? With T-Mobile, as long as you pay off the EIP, you're clear; do AT&T and Verizon have the ETF in addition to the payment plan, or once the phone is paid off is the customer clear to go? The lengths to which these companies go to try and keep you locked in is beyond me. I really do think they only hurt themselves more by doing so. Eventually and I hope soon their hold will look just that much less important as cable companies have found out with the emergence of alternative services. I will jump for joy on that day. Edge is also only for customers on the Share Everything Plan!! I have been a customer for 7 years now with Unlimited Data, the only choice here is to pay full retail value to keep data!! This equal no edge for folks still lucky enough to have unlimited data. I think my "Edge" plan will be: Pay full price for the phone and screw their contract! Or what if you pay half of the device cost upfront? $325. Then choose the yearly upgrade fee. Still, Verizon will see no need to lower anything since they are having a great year right now. eh, i'd still probably go to T-Mobile if anything ever happened to my unlimited plan on Verizon. As a Sprint customer for the past 12 years - yes, i know somebody's going to comment on that part - and as someone whose been in wireless sales for the past 4 years, I can tell you Sprint DID have a program like that. It was called the Premier Program. If you had the $79.99 plan AND your bill was current or you've been a customer for 10 years, you could upgrade to a new phone every year. the catch was that you signed a new 2-year, but the old phone was yours AND you got a new phone. I know I used it alot to sell new customer's and used it myself for the 3 years they had it going. Sprint ended it to keep up with the joneses - Verizon and AT&T. Since it seems that everyone is going that route, I hope Sprint brings that program back.